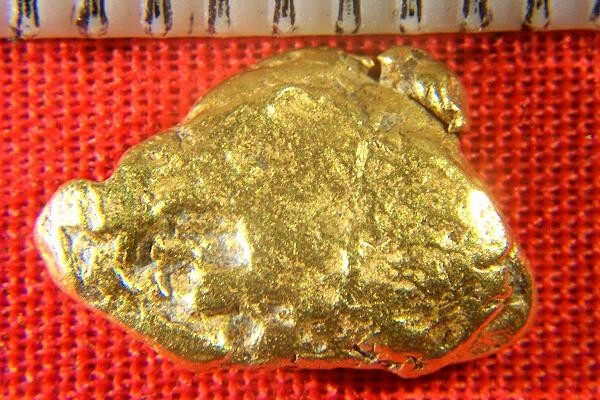 This Natural Alaska Gold Nugget weighs 2.1 Grams (32.4 Grains). It is 1/2" (13 mm) long and it has beautiful color and a surface that has been polished by the natural elements. 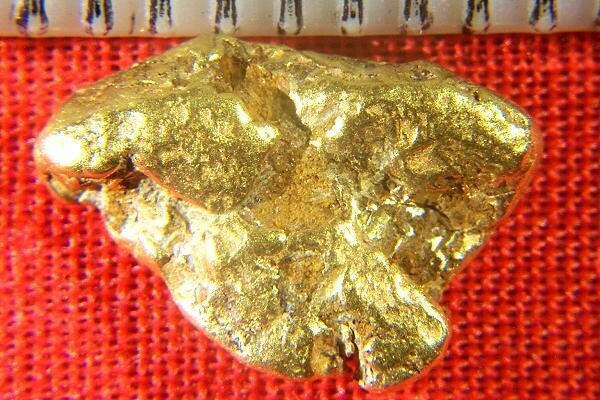 This wonderful high quality gold nugget specimen would look great in any gold nugget collection.